Even mermaids enjoy a glass of wine from time to time. 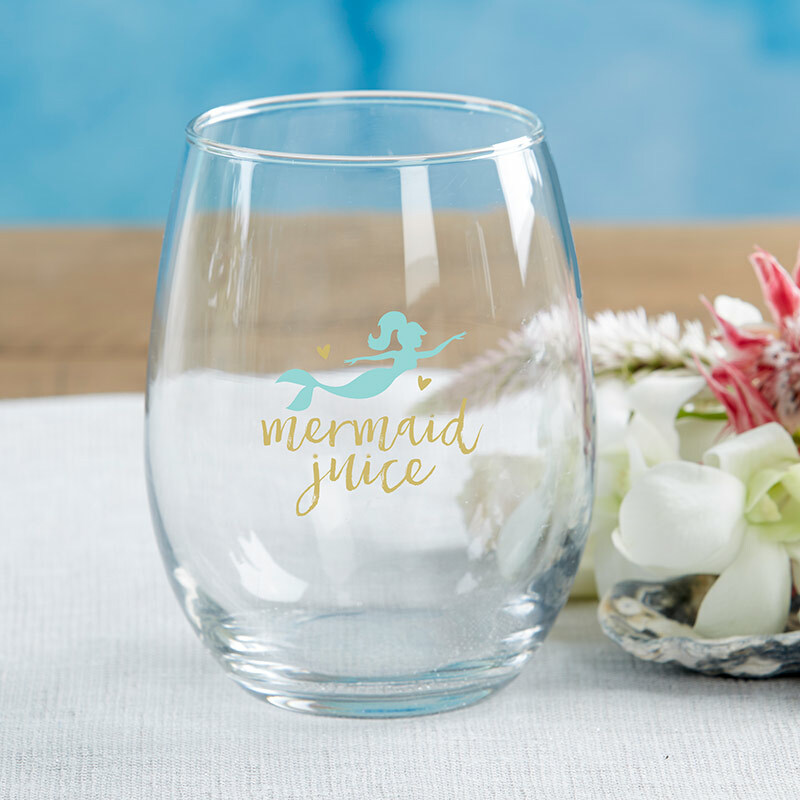 Adorned with a turquoise mermaid and the phrase, "Mermaid Juice," written in gold and accented with gold stars, our Seaside Escape Stemless Wine Glass is the perfect drinkware for your beach-themed bridal shower, birthday or any other seaside soiree. Available in sets of 4, guests will love these 15-ounce wine glass favors. 15 oz. 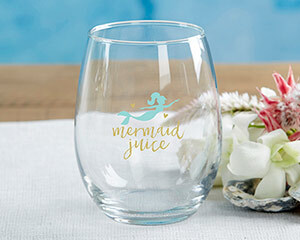 clear wine glass is presented without the stem with a turquoise mermaid and the phrase, "Mermaid Juice" printed on the glass.